Are you going to the mall this weekend? Check out the great sales going on at Lawton Central mall. Did you make it to the Old Navy Super Cash event on the Tax Holiday weekend 2 weeks ago? 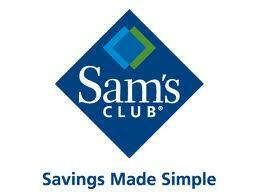 If you did and you received Super Cash you will want to remember to redeem that Super Cash this weekend. The vouchers are good for Thursday-Monday (8/25-8/29). If you’ve lost the voucher somewhere in the last 2 weeks, no worries, check your emails for one from Old Navy to print your voucher for redemption. This is a great way to get a few last minute items that may have taken a back burner in your Back to School shopping. Or just stock up on a few extras to help finish filling those closets for the year. I will be keeping an eye out for great sales this weekend to make the most out of this Super Cash event. 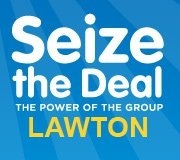 Lawton Seize the Deal has a fun and tasty treat for us today with Great American Cookies. $13 will get you a voucher for a 16 inch cookie cake. That’s 50% off regular price! One of the best things about this deal is that you can buy 2 for yourself. Normally there will be a time limit on when you have to redeem your Seize the Deal voucher but another great thing about this deal is that it never expires. So go Seize it before midnight 8/25 and save for a special event in the future. I may grab one for an upcoming birthday and another for a special dessert during the holidays. While you’re checking out Seize the Deal be sure to check out both OKC Seize the Deal and Tulsa Seize the Deal Facebook pages to enter under the Giveaways tab for your chance at a $5 Starbucks gift card while supplies last. It looks like these will be drawn for tomorrow (8/25). The giveaway is only open to Oklahoma residents. Also check out OKC Seize the Deal for a great meal at an even better price. $37.50 gets you a 3-course meal for 2 at Winter Creek Golf and Country Club in Blanchard, OK.
Seize the Deal Lawton has a truly Sweet offer today with Edible Arrangements. $7 will get you 6 chocolate dipped strawberries from Edible Arrangements located on 67th in front of the new Walmart. The voucher will be good until Nov 19th, 2011 but you only have until Sunday 8/21 to Seize the Deal. There have already been enough purchased that you don’t have to worry about getting this deal. All you have to do now is go get yours! Hobby Lobby has a great coupon that you can use one of three ways! The coupon is good for 40% off one item and is valid thru 8/20 and you can use the coupon code online, print the coupon for in-store, or even send it to your mobile device.